International bike Customicer present their works. 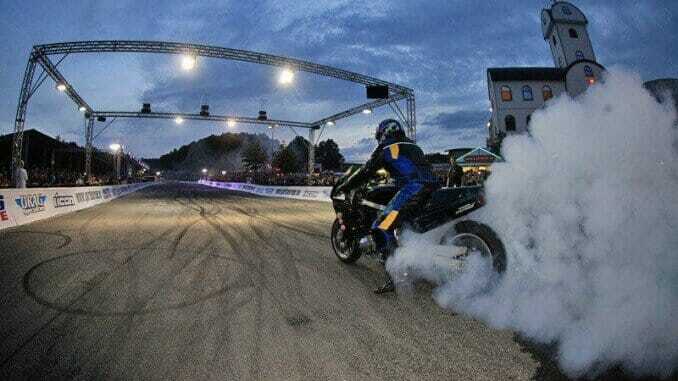 Multiple winners at Daytona, Sturgis and Faak be prize money of a total of 5,000, – € compete. This are top bikes guaranteed. Burn-outs have in Geiselwind a very unique role. 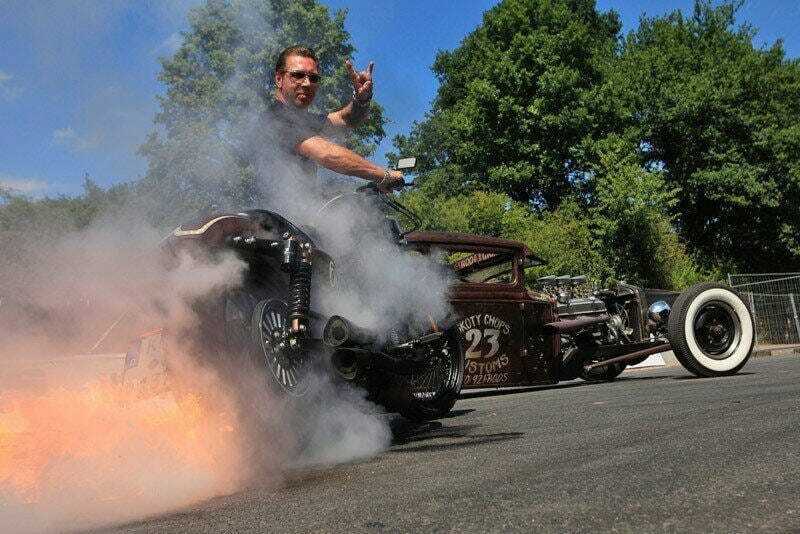 Harleys, Street Fighter, U.S. cars, dragsters, and even specially built structures burn their tires on the asphalt. Even a caravan makes with. Here, as elsewhere, the visitor is part of the show! Anyone who wants to can join in the burn-out competition. Music is written the whole weekend great. In indoor and outdoor stages all 15 bands will occur. About the event next week is expected to be reported in detail, including a lot of images! On Saturday I will be on Facebook, Twitter, Google+ … post the pictures all day long!